Project Plan and Schedule are at the core of project management. It is one of the most commonly used project management templates. 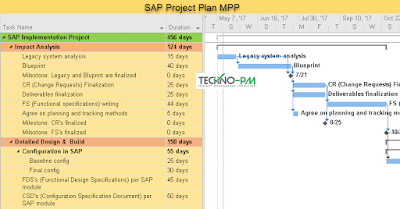 Download top project plan templates and examples, these 7 project plan templates are must have in every project management and helps project managers who are managing a larger project with many people. Understand how to create a simple project plan created with MS Project in this step-by-step detailed tutorial. This article explains in detail the various phases involved in a software development project. 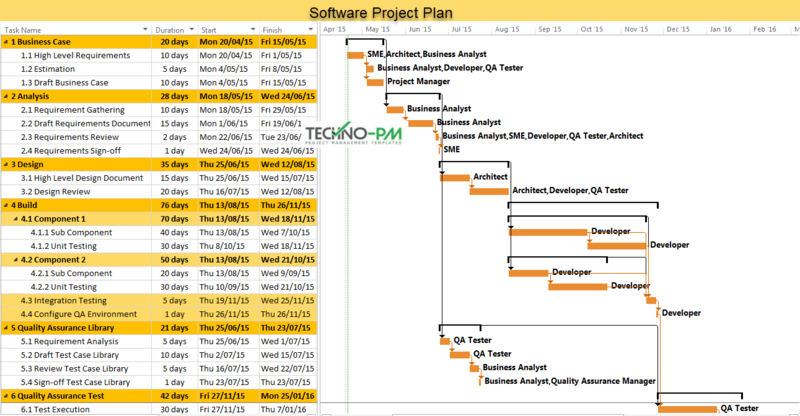 Download a Project Plan based on Software Development Life Cycle(SDLC). Not everyone prefers MS Project so MS Excel can also be used. 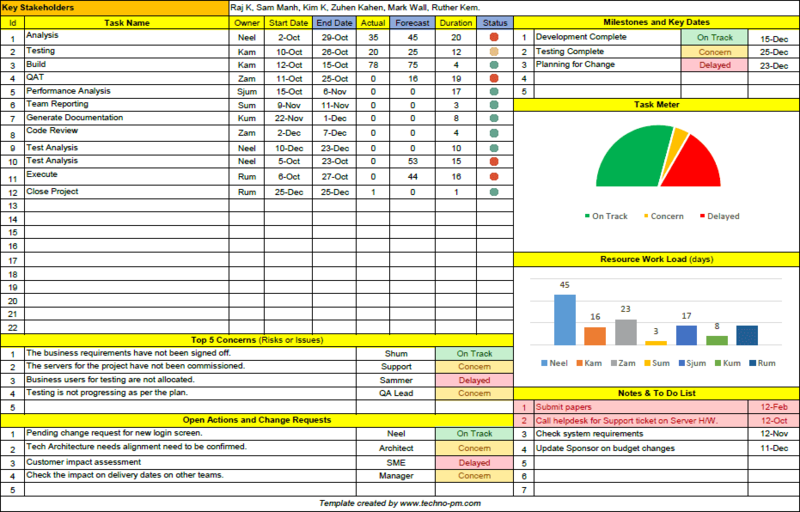 This excel based template has Gantt View, Traffic Light Indicator, Highlights late tasks and basic task tracking. 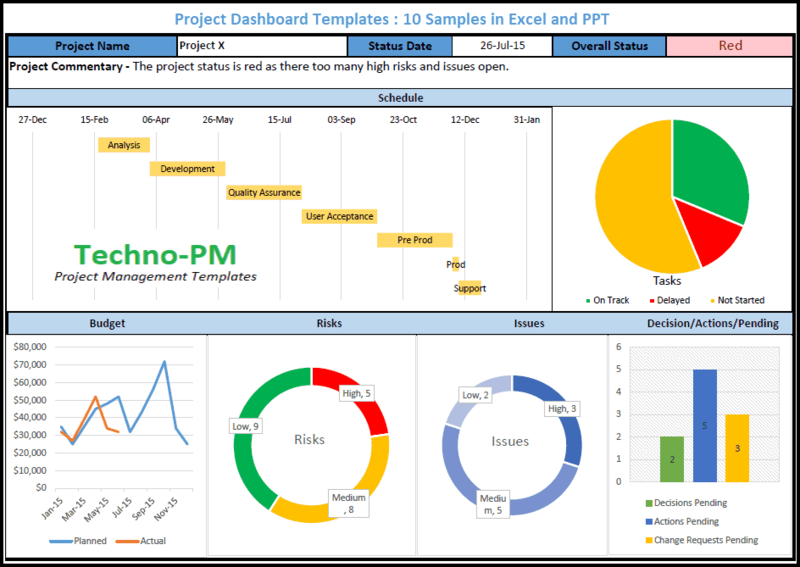 Download this Excel Based Project Plan Template with Gantt and Traffic Lights. Sometimes you need a very basic and simple project plan with the bells and whistles. 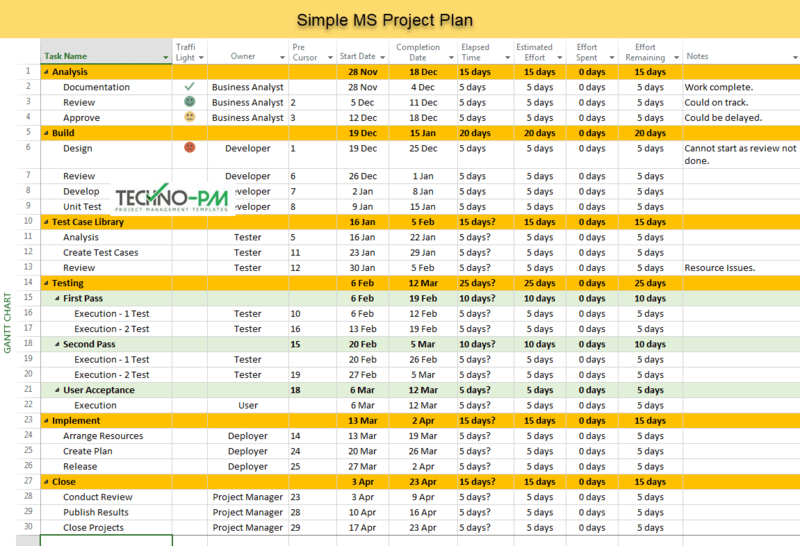 This simple excel based project plan template is very basic and ready to use. 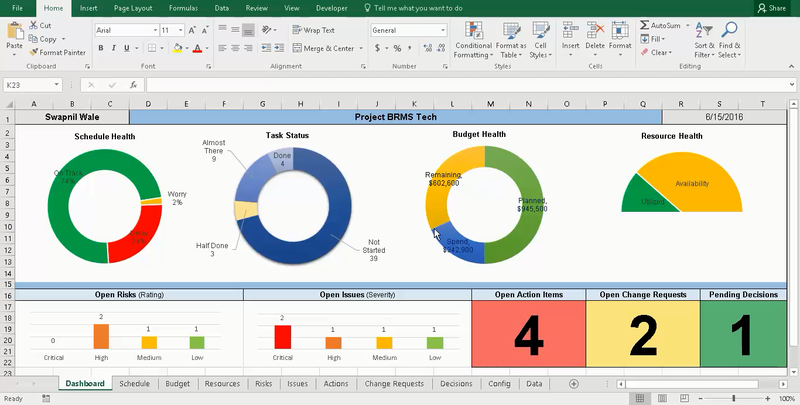 Check this project plan and start tracking your tasks in excel. Agile plans need to factor in various activities like sprints, story points, releases, and the backlog. This article has two formats - MS Project and Excel: Agile Template Downloads. 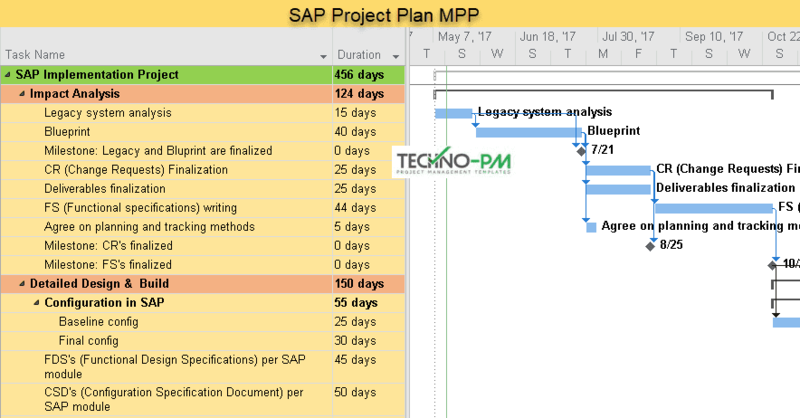 Detailed SAP Project Plan with step by step details for SAP Project implementation. Download our detailed project plan for payroll implementation. 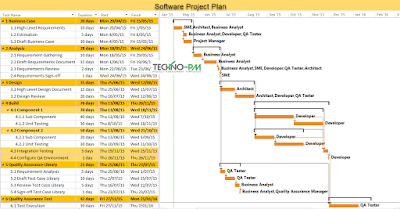 Using this plan you will be able to manage project phase by phase. 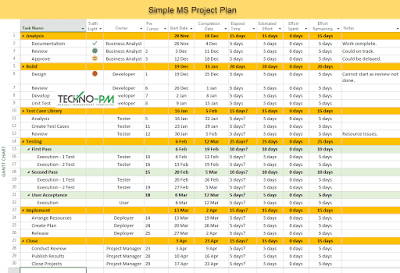 Few related articles we highly recommend are creating a Master Project Plan, task tracking with simple templates and our Master Project Planner and Tracker built in MS Excel.